In the wintertime, your heater can be a lifesaver, but it can also be a killer for your finances. If you live in a region where you are forced to use the heater in the winter to keep your home warm in the brutal cold, your bill can wind up being two or three times higher than it usually is. This is exactly why it can help to have some tips and tricks to keep your bills manageable – without sacrificing your comfort or well-being. Whatever the case is, you don’t want to forgo using your heater just to save money, especially if your home gets dangerously cold – you simply want to find ways to curtail your usage. 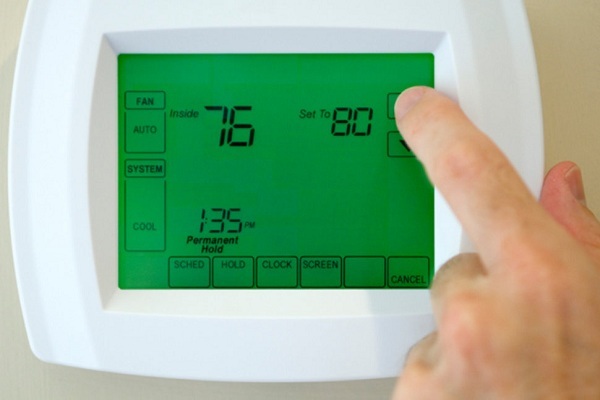 Here are five ways to minimize your winter heating bills. Use a floor heater. A floor heater can work wonders for keeping certain rooms warm. If you are in the living room and there is no one else home, you can probably get away with giving your HVAC heating system a break. The same goes if you are in your bedroom. In some cases, you just don’t need to use your whole-house heater – it can save you a lot of money in the long run. Maintain your heating system. It is also important to make sure your heating system is always in tip-top shape. When it comes down to it, maintenance is important for keeping your AC running smoothly, especially if your HVAC platform hosts dual systems. One of the most important maintenance steps is to swap out the old filter. Over time, the filter can start to get very clogged with dirt and debris, which can cause the entire system to work harder than it has to. It is important to swap out the old filter every one to two months. Set your fans to run counterclockwise. Most people don’t realize that if they run their ceiling fans counterclockwise, it will actually lift the air and spread it more evenly throughout the room. In the wintertime, this can help warm up your home more quickly so that you can run your heater for a shorter amount of time. If you don’t have ceiling fans, you may want to think about installing one in your home. Close the curtains. Another great way to minimize your heating bill is to close your curtains. If you don’t have curtains, you may want to install them, especially on large windows. In a particularly brutal cold snap, big windows can cool down your home and make your heating efforts ineffective. In order to prevent this, you want to draw your curtains. Doing this will also prevent water damage from condensation. Seal leaks. On top of everything, you also want to make your home more impervious to energy leaks. For instance, your windows and door frames may have sources of energy leakage. Not only do you want to weather strip doors, but you also want to seal the leaks with epoxy resin or caulking. In the end, taking this very simple measure will be incredibly effective.